This FREE conference seeks to explore an important but neglected aspect of public culture and community construction: street music. It aims to draw together the new knowledge and practice generated by funded research projects across Connected Communities with work across a number of academic disciplines as well as the creative sector. Following Connected Communities established practice, the conference seeks to function as a place for dialogue between academics, independent researchers, musicians, performers, and the arts and cultural policy sectors. From brass bands to buskers to ballad singers, organ grinders to beatboxing, one-man/-person bands to flash mobs, music has long played a role in how we experience the public space of the street. 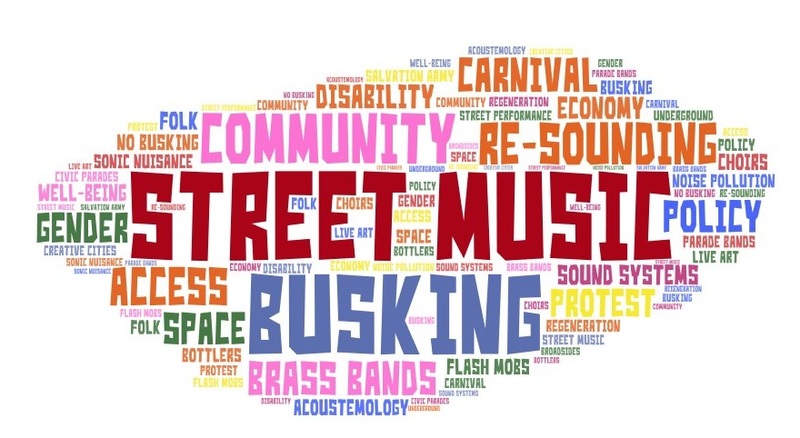 In this conference we aim to contribute to the growing discourse around the role of street music in our contemporary communities and to understand its historical significance. We welcome contributions from researchers, of course, and also street musicians, performers, campaigners, arts producers and cultural workers. (We recognise that these categories may be productively fluid.) Disciplines? Music, but also from cultural and media studies, performance studies, cultural geography, history, leisure and tourism studies, urban planning and architecture, and more, as well as those who may work in inter-disciplinary or indeed ill-disciplinary ways. • Historical perspectives on and cultural representations of street music. Proposals of 250-300 words are invited for presentations/interventions of 20 minutes, panel discussions, creative and musical contributions. These should be sent as a Word attachment to m.bagnall@uea.ac.uk and include the following: title, presenter(s), affiliation(s), short biography (100 words), and email address for contact. The deadline for submission is March 12, 2019. If you would like to apply for a bursary please contact m.bagnall@uea.ac.uk for details. Deadline for bursary applications is 16 March. Please also indicate the nights that you would require accommodation.